(1) The maximum size of the underground crusher should be long, wide and high. (2) The main function of the crusher is to crush the lump coal. Therefore, the crusher is required to have a reasonable crushing effect. It is sometimes necessary for the designer to add some auxiliary structures to improve the performance of the machine, but it should be considered from many sources. Minimize the weight of the whole machine. 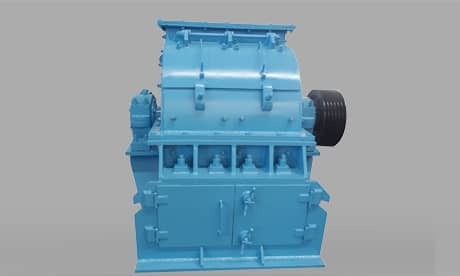 For example, the lubrication system of the jaw crusher can replace the lubrication pump with an oil cup. (3) Replace the coupling between the main motor of the jaw crusher and the small pulley into a torque-limiting fluid coupling. It can not only protect the overload, but also make the equipment easy to start, shock-resistant and prolong the equipment. Service life: The new energy-saving coupling is adopted. The effect is better. In addition, in the case of ensuring the normal operation of the crusher, the strong conveyor belt drive is used to reduce the diameter of the pulley and the flywheel. The overall weight of the crusher is reduced. (4) The crusher is generally installed in the middle of the working surface transfer machine, that is, the lump coal is crushed when it is not transferred to the loader. Experience has shown that in many cases a simple crushing device can be installed. Two installations are installed on the transfer machine. The power of the transfer machine is used to drive it to achieve the desired continuous crushing effect, which facilitates the management of installation and maintenance. This simple crushing device is very promising. (5) The hammer crusher can be directly driven by a V-belt to make the motor start smoothly. The transmission link has a buffering function, which is convenient for manufacturing and installation. (6) The lining plate is the most easily worn part of the jaw crusher. It is necessary to improve the service life. 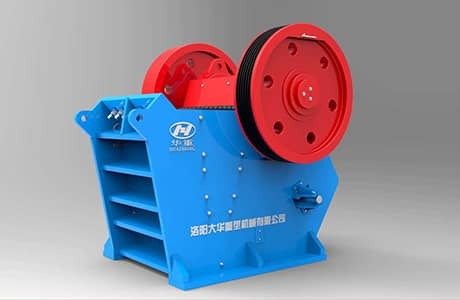 On the one hand, various new wear-resistant materials are used to improve the surface hardness, and on the other hand, the structural performance of the crusher can be improved. The jaw crusher adopts zero suspension, small angle and deep crushing cavity in the structure, which is safe and reliable in performance. It is convenient to disassemble. In addition, by using the method of adding iron plates, the iron plates with different thicknesses are added between the fixed lining and the lining plate to compensate the wear amount of the lining plate, and the size of the discharge port meets the requirements, so that the lining can be extended not only Service life, reducing the number of replacements of the liner, reducing costs, and greatly improving production efficiency.